All Shook Up is a designer RTS can for the fashionistas. 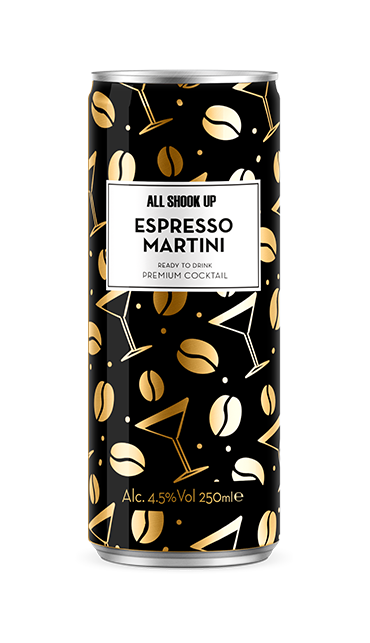 Taking inspiration from the world’s most popular cocktails and catwalks, our Passion Fruit Martini, Flamingo Colada Martini and Espresso Martini are smooth, full of flavour and wrapped in a can so gorgeous you won’t want to put them down. Available in Tesco and selected independent convenience retailers.